If you want to buy cheap indonesia shirt for 2018-19 season, buy it here in cheap-football.com , Check our exclusive range of indonesia Football Shirts / Soccer Jerseys and Kits for adults and children at amazing prices. 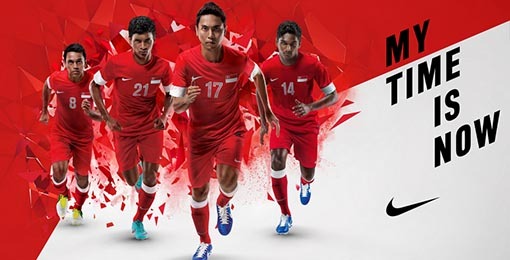 Get the cheap indonesia jersey shirts, soccer kits with wholesale price, Free Shipping Worldwide! Indonesia national football team is an association football team that represents Indonesia. The team is controlled by the Football Association of Indonesia (PSSI) and is a member of the Asian Football Confederation. Prior to the declaration of independence in 1945, the team competed as the Dutch East Indies national football team. Under this name, Indonesia was the first Asian team to participate in the FIFA World Cup, at which time the team qualified for the 1938 FIFA World Cup tournament in France. The Indonesian team was eliminated by the Hungary national team in the first round and has not qualified for the World Cup since this defeat.The team's only Olympics appearance was in the 1956 Games in Melbourne, Australia, where they held the Soviet Union national team, the eventual gold medalists, to a goalless draw, but lost 0–4 in the replay match.Indonesian national team qualified for the AFC Asian Cup on four occasions, but have never progressed beyond the group stage. Indonesia's best performance in Asia was at the 1958 Asian Games in Tokyo, when it achieved the bronze medal.The team has reached the AFF Championship final ties on five occasions, but has never won the tournament. Their local rivals are Malaysia, Thailand, and Singapore; Indonesia's rivalry with the former is considered the fiercest due to cultural and political reasons such as the 1963 confrontation.